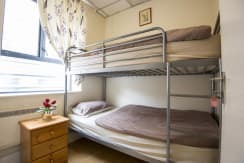 We are one of Dublin’s most ideally located budget accommodation centers! Our hostel is central to points of interests for ALL ages! The perfect place to enjoy night life , we are located at the Vibrant Temple bar area. 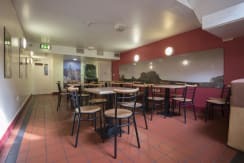 Our guests enjoy a low cost option to explore the vibrant Dublin nightlife and rate the hostel 'Great value for money' The Apache is 200 metres from Dublin Castle and a 5-minute walk from St Stephen's Green. 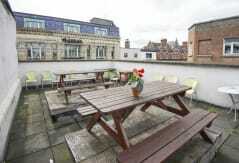 It offers affordable accommodation, continental breakfasts, free Wi-Fi and a rooftop terrace. check out time is 11:00 a.m.
13. Turn left at Eustace St and continue until you reach the destination. 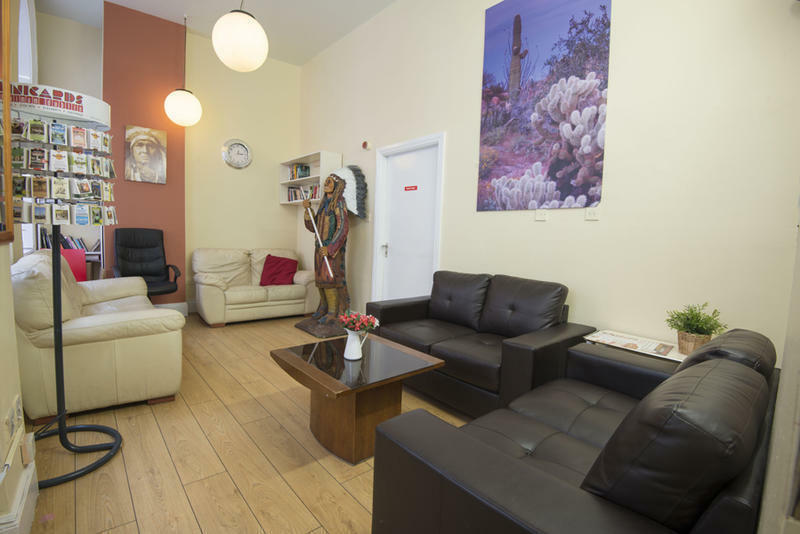 APACHE HOSTEL is located on Eustace street, and very near to main dame street. we are at center of all amenities, and located in the heart of temple bar, all shopping street's are at the distance of 2 -5 minutes by walk. 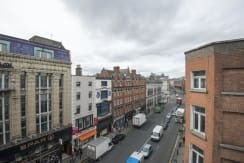 if you like shopping then the Henry street and Grafton street are on distance of five minutes walk from APACHE hostel. 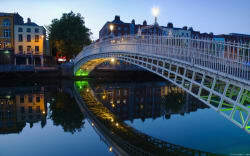 Dublin castle 3 minutes, Trinity college 5 minutes walk, River Liffey 5 minutes and city center only 7 minutes.